Yes, here it is. The December issue of the Arf Dossier, fanzine for the Arf Society members. As always, a bunch of nice pictures with a lot of info on recent releases. A couple of months ago, I mentioned "Just Got Back From The City" and "Electricity 1967-1968", two albums that had been issued by Greyscale / Gonzo Multimedia and were exact copies of two discs from the "Grow Fins" box set. It looks like there's a third album in this series. 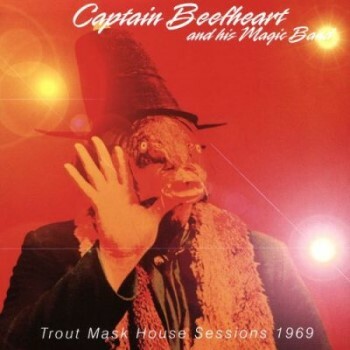 "Trout Mask House Sessions" includes material from discs three and four from the very same "Grow Fins" box set. Advice: go for the "Grow Fins" box set and forget about this Greyscale albums. From 2017, also out on Gonzo Multimedia, "The Early Years 1959-69". 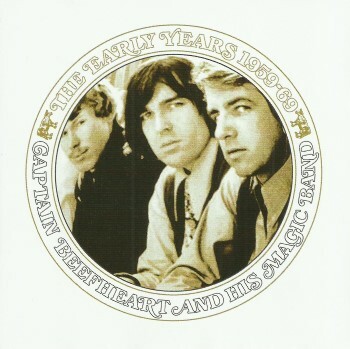 Being an official re-release of the 1995 CD bootleg with the same title. 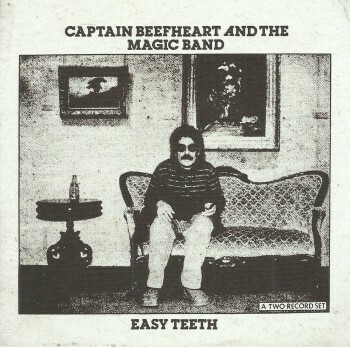 "Easy Teeth", the well-know Captain Beefheart vinyl bootleg that offered a recording of the 1978 Golden Bear Huntington Beach concert, got issued on CD by Gonzo Multimedia a couple of years ago. Sort of an official release of the late seventies vinyl bootleg? I only picked it up recently. The reason that this recording is called "Easy Teeth" is because roadie Paul 'Easy Teeth' Young sings vocals on one song. Fine show. Just not the best recording. Greg Russo released his Cosmik Debris book in 1998. 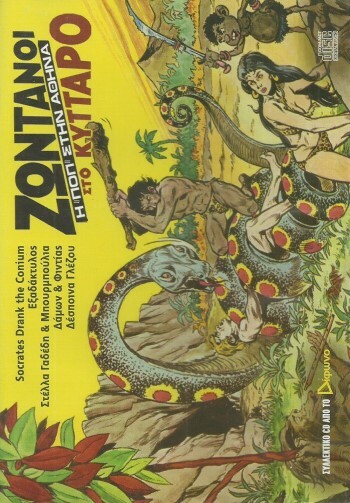 This second edition had another picture on the front and showed the "revised" label in the right corners. See above picture. The third edition, "Son Of Revised" came out in 2003. And the latest one, "The Return Of The Son Of Revised", in 2017. Each time a serious upgrade. 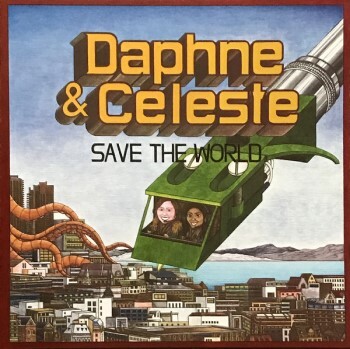 The Daphne & Celeste album that I mentioned a little while ago, "Save The World", with their version of Captain Beefheart's 'Kandy Korn' on it, has also been released on vinyl. Both on black vinyl and in a limited edition on pink translucent vinyl, the latter one with a different album cover. 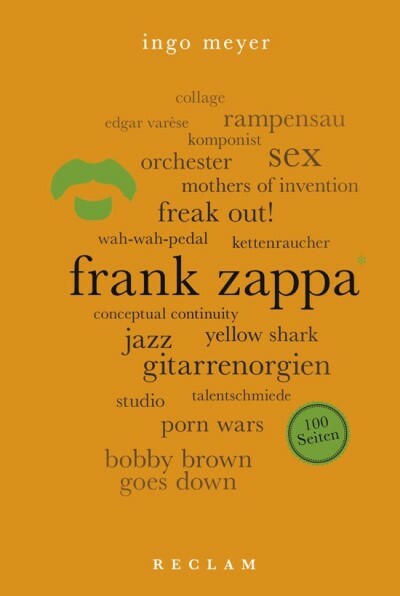 Ingo Meyer already wrote a book on Frank Zappa in 2010. Earlier this year, commemorating the 25th year of Zappa's passing, he released another one. The book is part of a series that focuses on one artist in 100 pages by means of a series of keywords. 8pm, No Cover. Donations encouraged. On New Year's Eve - Ed Palermo hosts a thoroughly suspicious award program - THE EDDYS, A Night of a Thousand Jerk-Offs - with Guest Host, Napoleon Murphy Brock! During their 2000 tour, Elio E Le Storie Tese did two concerts in Lugano. These concerts featured special guests Riccardo Fogli, Skardy and former Zappa vocalist and guitar player Ike Willis. "The Lugano Tapes" collects the best material from the two concerts. It features Ike Willis on three Zappa compositions : 'Broken Hearts Are For Assholes', 'Why Does It Hurt When I Pee?' and 'You Are What You Is'. Ike also sings on 'First Me, Second Me', an EELST (Elio E Le Storie Tese) classic. The September issue of the Arf Dossier. Anyway. Volume 97 with some nice reviews of Zappanale. Brokken records is run by Corrie van Binsbergen. The latest title, "10", includes the "Fifteen" suite by the Vanbinsbergen Playstation ensemble, plus various pieces from previous Brokken records releases. Pierre Vervloesem's recently released Volumes 1 to 4 of his"The Art Of Going Nowhere - Extended Version" series. Belgian band Backback will be releasing a new album, "4", on the El Negocito record label. In 2004 JAN KLARE (saxophone), together with trumpet player BART MARIS from Belgium, Dutch bassist WILBERT DE JOODE and American drummer MICHAEL VATCHER, founded the group "1000". From its inception, the group incorporated compositions that were rather unusual points of reference for the world of improvised music – pieces by Bach, Ravel, Monteverdi or Gregorian chants – thus establishing a unique style very early on. When Vatcher relocated to NYC in 2017, ELISABETH COUDOUX joined the band on cello, and soon thereafter, at the invitation of Moers Festival 2018, the sixpiece edition "2000", including trombonist STEVE SWELL, was born. El Negocito Records will be releasing the new album by 2000, called "Plant". 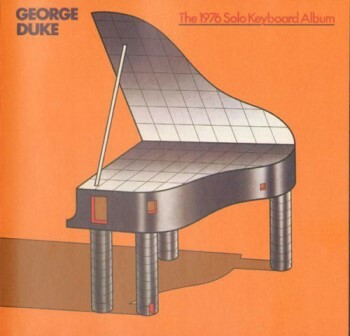 George Duke's "The 1976 Solo Keyboard Album" got released in 1982. In fact, it's a re-release of "The Dream" (from 1978), although the liner notes state "The present album was remixed in 1980 with a few alterations at my recording studio, Le Gonks West." Detunicari was a project by the late Yvan Petit-Pas. 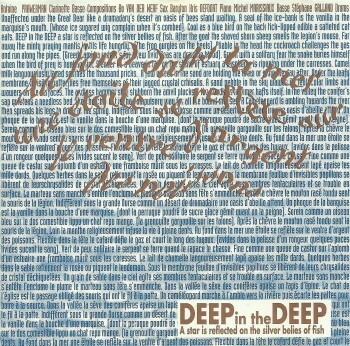 He released "The Nancy Diggers LP" in 2007 on CDR in a limited edition of 15 copies. Later, the album was made available through Bandcamp, unfortunately omitting track number 12, a cover version of Frank Zappa's 'Peaches En Regalia'. Yvan's take on 'Peaches' sounds really good. It's a computerized / sequencer / electronic version and I like it a lot. Actually, the entire album is worth checking out. Here's an interesting compilation album that I only recently learned about. 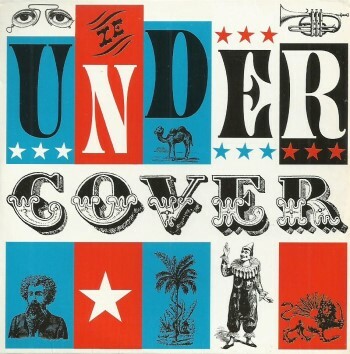 This promotional album, "Under Cover", got released in 2004 and includes Little Coati Mundi's version of Don Van Vliet (Captain Beefheart)'s 'Tropical Hot Dog Night'. Previously released on Little Coati Mundi's "The Former 12 Year Old Genius" from 1983. I received "Loss Of The Lizard Lady" a couple of days ago. A beautiful release in tribute to Molly Harvey. A collection of songs fronted by Molly Harvey between 1994 and 2005. Includes one full length LP of studio recordings and one full length LP of live material. Take it all in and realize what an important and amazing addition Molly was to the ever morphing and mysterious Residents. 20 out of 24 of these tunes have never been on vinyl. 8 of them have never even been on CD and another 8 were only on rare, limited edition CDs. So grab this wonderful tribute to a wonderful weirdo. Stunning arwork by Steven Cerio. Out on vinyl and on CD. 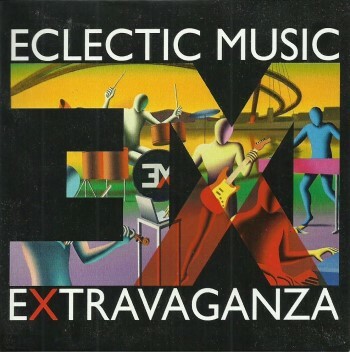 Eclectic Music eXtravaganza (EMX) is a collective of an international array of musicians who meet up to produce a very eclectic chamber music concert, a music salon for the 21st century. On their first release, EMX showcases 10 contemporary classical pieces by Gene Pritsker. An obvious choice as Gene Pritsker's composition are both eclectic and extravagant. Chamber music, solo piano, saxophone quartet,... It's all there. 10 pieces. Most of which were recorded in concert in Germany and in Austria. 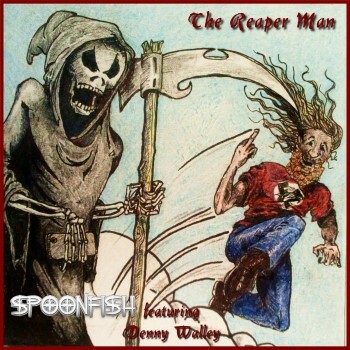 Spoonfish has just released 'The Reaper Man'. It's a little teaser for the Spoonfish debut album, "The Devil's Delight" that's to be released in 2019 and it features the amazing slide guitar skills of Denny Walley. Spoonfish is a progressive rock band formed by lead singer and guitarist of renowned Frank Zappa tribute band ZAPPATiKA, Mark Mcinnes. THE REAPER MAN explores that very special relationship we all have with "the grim reaper "Mr Death ! The track was recorded in Amsterdam,Holland and Atlanta ,USA and was mastered at the SoundLAB in New Jersey,USA and is available on all major digital platforms. 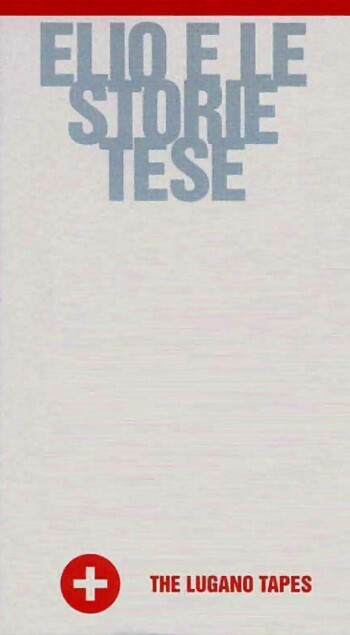 Last year, the German EAR Records label released this fabulous compiliation album by Italian rock band Elio E Le Storie Tese. It's a 2CD set and it includes tons of great stuff. The last track on the second CD is a fine version of Frank Zappa's 'Tell Me You Love Me', originally released on their "Tutti Gli Uomini Del Deficiente" album in 1999 ! 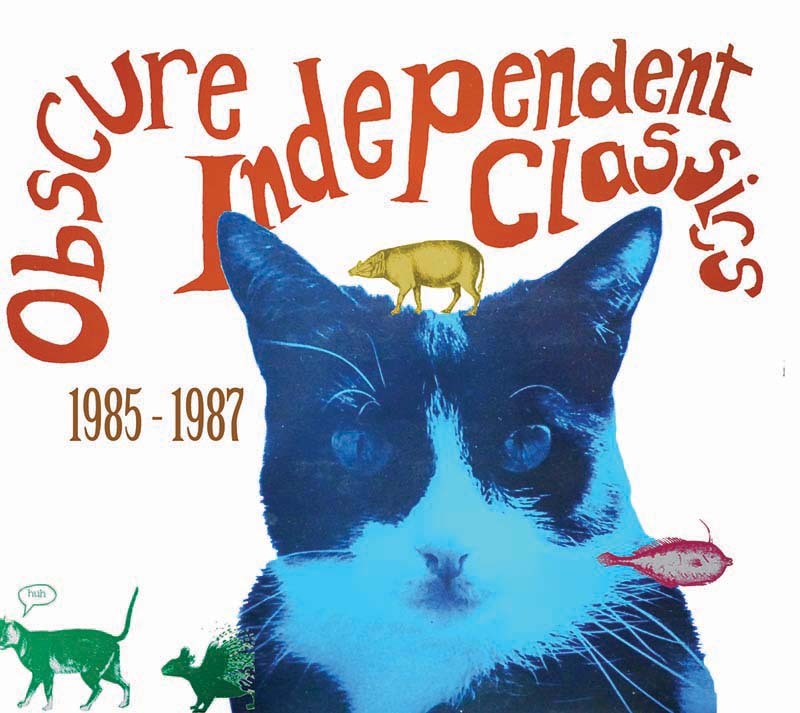 Suddenly available from Cordelia Records: "Obscure Independent Classics 1985 - 1987". John Tabacco just released two new tracks through Bandcamp. 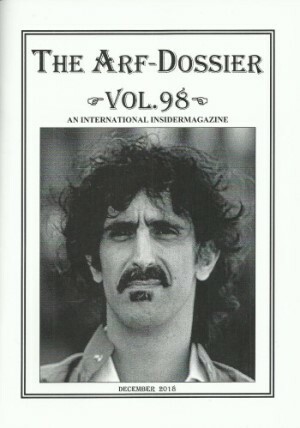 Over at the United Mutations Archives, there's a page about artists that have a reference to Frank Zappa in their work. 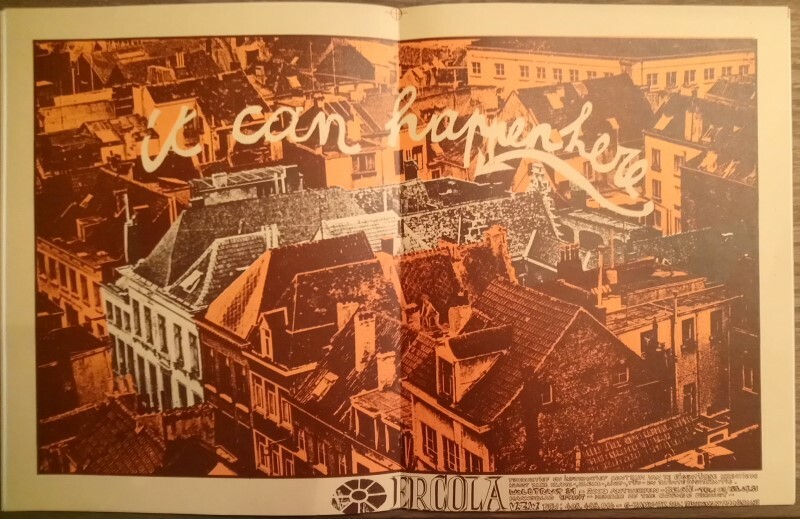 Today I added an entry for painter and poster artist Guy Peellaert who included the below picture in his "Rock Dreams" book in 1973. Jazz guitar player Pascal Bréchet invited Manuel Denizet (drums) and Jean-Luc Ponthieux (double bass) to start a trio way back in 1997. 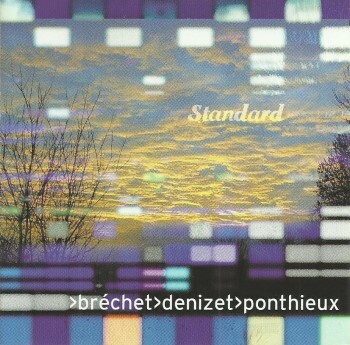 The ensemble recorded "Standard" in 2004. Next to a couple of original tunes and some standards, the album included a fine version of Frank Zappa's 'Twenty Small Cigars'. Work is ongoing on The Residents’ pREServed series – both ‘Eskimo’ and ‘Commercial Album’ will be issued on January 25th, a 6CD ‘Mole Box’ looks likely and the band’s 1980s output is currently being excavated, exhumed, examined and all kinds of other stuff beginning with the letter ‘E’. Oh, and on the subject of that letter, there will also be a very special vinyl only presentation of the ‘Eskimo’ album in the first few months of 2019. The more experienced (agh!) Residential explorer (aaaggh!) among you may also like to know that a previously unreleased instrumental Residents track, ’99 Space Music’, will also feature on ‘Third Noise Principle’, a forthcoming compilation of early North American electronica which will be out in late January and available from all of the usual outlets. Spanish rock band Schizophrenic Spacers celebrated the tenth anniversary of their 2008 "Second Round" album by re-releasing it with new artwork as well as with a bunch of bonus tracks. As the original release included the band performing Frank Zappa's 'Uncle Remus', it can be found on this anniversary edition as well. 10 tracks plus 8 bonus live tracks. January 18, 2019, the new Too Noisy Fish album, "Furious Empathic", will be released on the Igloo Records label. Renette Désir (vocals) and Fabian Fiorini (piano and Fender Rhodes) are releasing an album on the El Negocito record label. The teaser sounds very promising ! 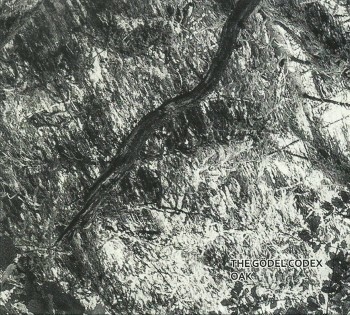 The Gödel Codex features Michel Delville, Antoine Guenet (both part of The Wrong Object), Etienne Plumer (Elephant Orchestra) and Christophe Bailleau (multimedia artist who has released various albums). It is very clear that these musicians share an interest in the Canterbury music scene. The result is an impressive album that combines elements of progressive, psychedelic, avant garde and improvised rock. Below are some concert snippets from 2015. The album is to be released on the Off Records label early next year ! July 2018, the Inventionis Mater Trio (featuring Pierpaolo Romani, Andrea Pennati and Valentina Ciardelli) teamed up with Napoleon Murphy Brock to perform a concert at the St Katherinenkirche in Hamburg, DE. Sort of an opening concert for the Zappanale festival. As the below album cover states, this one the 10th anniversary of the "Zappa Spielt Für Bach" concert series. Not every concert got released on CD, and I lost count, but I do know that this will be a fine addition to anyone's Zappa collection. A short compilation of the new Spinifex album, to be released on 8 January 2019 on Trytone Records. Vlek in concert, last November at the 'Paradox' jazz club in Tilburg, NL. Jacq Palinckx recording the musicians. They were only allowed to play when the camera was pointing in their direction. Here's Intige Taluure (formerly known as Phlitman and Kang) with 'X-mas With Hugo' to get you in the mood. If you're not familiar with the music of Dusan Jevtovic, here's a nice opportunity. Dusan Jevtovic's "Live At Home", available as a free download on Bandcamp. 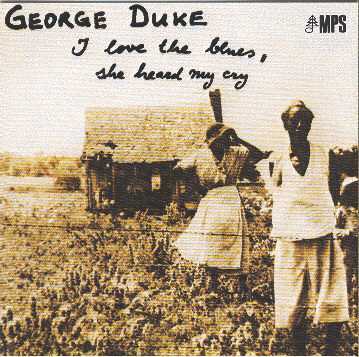 Adding data to the United Mutations Archives, here's George Duke's "I Love The Blues, She Heard My Cry" from 1976. Kana Kamitsubo (piano) and Sasha Markovic (guitar) are Yagull. I was very impressed by their previous albums so I was pretty excited to give "Yuna" a listen. 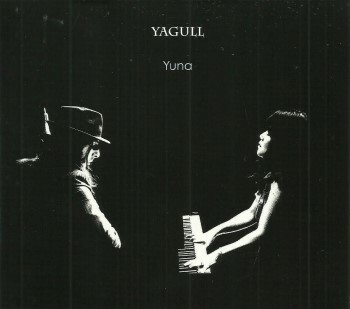 Yagull succeeds in blending piano and guitar into one beautiful sound. Jazzy and dreamy, "Yuna" will put a smile on your face. 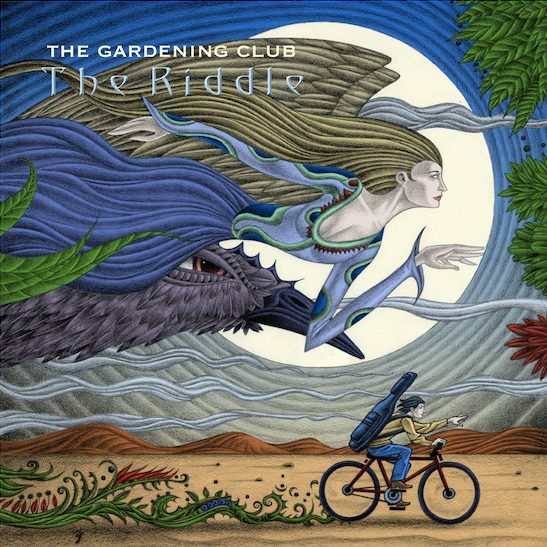 From 'Sabbath Bloody Sabbath, the surprising Black Sabbath tune, to the endearing 'Yuna', a song for the baby that the couple lost, this album will absorb you. Xavi Reija is offering "Live At RZZ Barcelona" as a free download on Bandcamp. In 1971, the Greek Zodiac record label released a live album entitled "Live In Kyttaro - Pop In Athens". It was an LP that came with a bonus 7" and featured 5 different bands. One of these bands, Exadàktylos, can be heard performing Zappa's 'Road Ladies'. The title in Greek is translated as 'The Underground' but it actually is 'Road Ladies' and can be found on the A-side of the 7". The album has been re-released a couple of times but not always with the tracks from the 7" ! The above pictured re-release is very nice. It has all the original tracks and comes in a slim DVD case. There's also a complete CD reissue and last year, the original LP/7" got a proper 180 g vinyl reissue. Give it a listen ! Earlier in 2018, Sun Ra's "Of Abstract Dreams" got released on CD by ARt Yard / Strut Records. Yesterday, the album was made available as a digital download on Bandcamp. Pretty neat, this first album by Anais Drago. Lots of very familiar sounds, phrases and riffs. Beautifully intertwined. 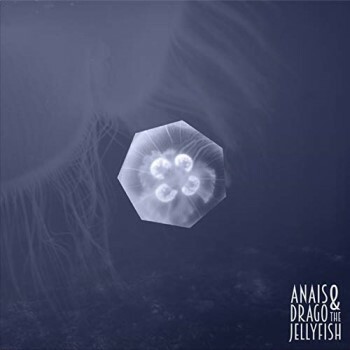 Anais Drago and The Jellyfish is the debut album of the composer and violinist Anais Drago. The album, released by the parisian label Another Music records and distributed worldwide by Believe Digital, was born after a long time devoted to research, transcription and rearrangement of Frank Zappa’s wide production. The result is a variety of compositions that spin around melodic and harmonious cells - mostly stemming from Frank Zappa’s first ten albums - used as themes or entrusted to sections. Daphne & Celeste is a project by Ben Jacobs (who uses Max Tundra as an alias). 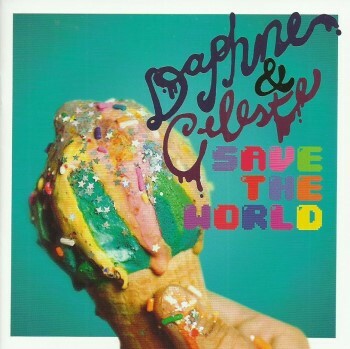 18 years after releasing the first Daphne & Celeste album, the girls are back with "Save The World". American pop. The album cover does give it away. So not really my cup of tea was it not for track number 13 : a cover version of Don Van Vliet / Captain Beefheart's 'Kandy Korn'. January 2019 will see the next edition of the River Jazz Festival in Brussels, BE. (Maximum) one concert per day, Between January 11 and 26. During his 1988 Chicago show, Frank Zappa invited Sting on the stage to perform 'Murder By Numbers'. It got released on Zappa's "Broadway The Hard Way" album. 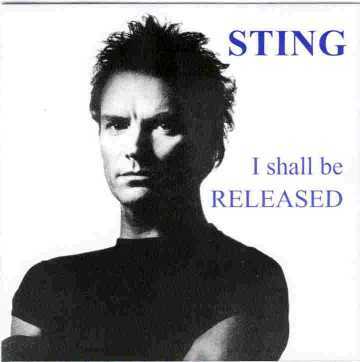 For one reason or another, The Dolphin Records bootleg record label decided to put the track on "I Shall Be Released", a collection of rare (?) recordings by Sting. This bootleg CD is from quite a while ago. Just added the data to the United Mutations Archives. With Mr. Sting on vocals (*). The Tasty Ones (featuring Sexton Ming (guitar and vocals), Ella Guru (bass) and Johnny Johnson (guitars, harmonium), recorded Don Van Vliet's 'I've Got Love On My Mind'. 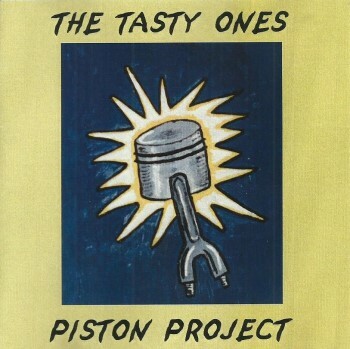 It got released on their "Piston Project" album in 1999. It's a CDR release with a printed label and a nice cardboard cover. Released on Sexton Ming's RIM record label. Episode 53 of MondoJazz takes a look at jazz enscembles performing the music of Frank Zappa. Wow ! 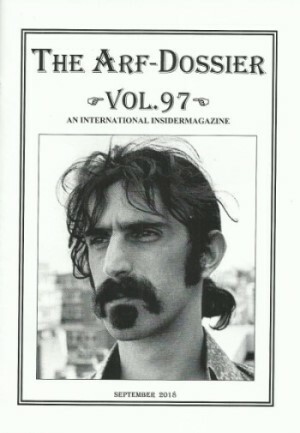 A great collection and a beautiful tribute to FZ. Compiled by Ludovico Granvassu ! Belgian band Dead Man Ray have reformed after a 16 year hiatus. They just released an EP, available from Jezus Factory (https://www.jezusfactory.com/), and have scheduled a new album next March. The Residents - "The Intruder" Mini CD The Intruder, a companion piece to The Residents’ new studio album Intruders, consisting of two new tracks not available anywhere else is now also available on Mini CD. Yes, for those of you who wanted to hear these new exclusive-to-Psychofon tracks, but do not have a record player..we have heard your demands and are happy to oblige! “The Intruder” b/w “Voodoo Doll” (demo version), both songs are exclusive to this Mini CD (and of course the limited 7″ vinyl). 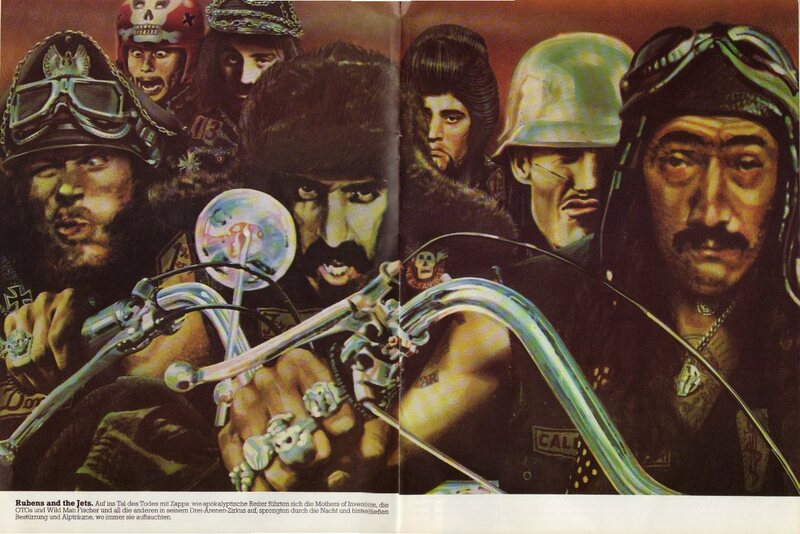 Rumour had it that the pseudonymous producer for the 'blues theme / loose lip sync ship' single that got released by the Chocolate Watch Band (as The Hogs) in 1966 was none other than Frank Zappa. The liner notes of the re-issue of "No Way Out" insist is was not. 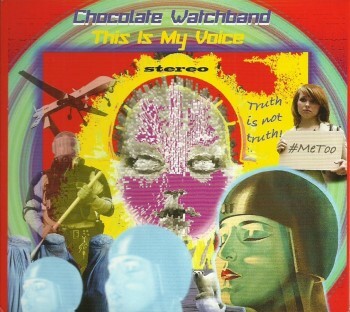 The 2018 album by the Chocolate Watch Band does however include a straight-forward version of 'Trouble Every Day'. We've come full circle. 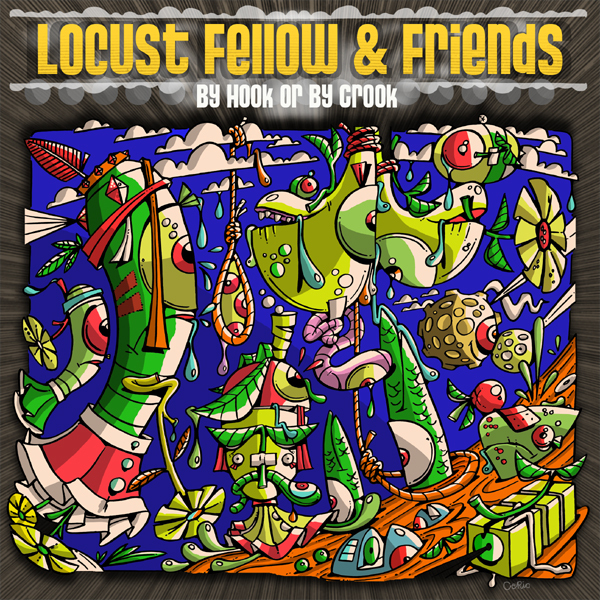 New 7" by Locust Fellow & Friends. 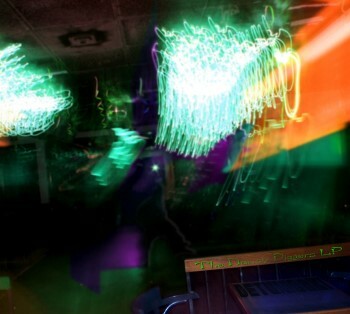 Artwork by Steve Cerio !! On the Psychofon Records label. 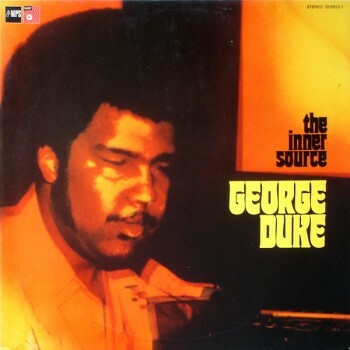 Recorded in 1971 (about one year after he joined Zappa's Mothers) and released in 1973, "The Inner Source" shows George Duke's interest for Afro-Cuban rhythms, soul and jazz. The album got re-released in 1976 with a different album cover (in the "Encore" series) and even more recently in a remastered version, again with the original album cover. I find it a bit strange that this beautiful album hasn't gotten a CD or another sort of digital release. Simply freakin' use the promo code "2018" upon checkout to get your rightful discount. Sale is in effect until the end of the year. Thank you, for you're kind! Doors open at 5:30pm, and the first act hits at 6:20pm. There is food for purchase and a full bar, so no need to stop for dinner on the way over. Tickets are seated. It's a really nice venue. Be a part of this! (Also, the night before on Jan. 25, Blue Mouth presents ELEMENTS OF SOUND with Paul Gilbert, Andy Timmons, Andy Wood, Mark Lettieri and Nili Brosh. Another remarkable night of music and madness and mirth and mmmmore! The Joe Satriani What Happens Next tour ended a few nights ago in Pune, India. Man, what a fun tour. Just want to thank Joe, Bryan, Joe T, the crew and everyone who came to a show. I feel immensely grateful to be part of this team and look forward to playing with the dudes again at The G4 Experience in Palm Springs, at Hotel Zoso (Led Zeppelin reference?) January 3-7, 2019. In addition to playing with Satriani, I'll be joining Beller and Travers in backing up Neal Schon, Rick Nielsen, Carlos Alomar, Bumblefoot, Lari Basilio and Kiko Loureiro. Serious fun. I think slots are still available? 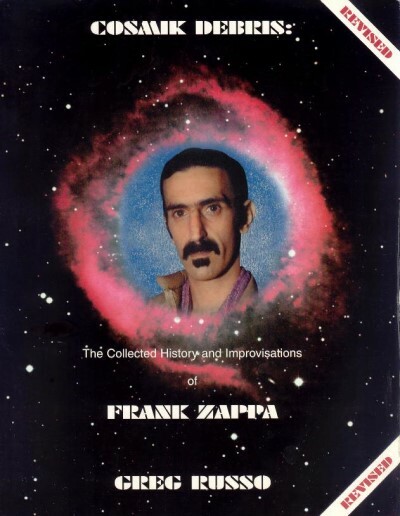 We start rehearsals for The Bizarre World of Frank Zappa in March. We'll start announcing dates very soon. I'll say a lot more about it later, but basically, take whatever your expectations about what a Zappa hologram tour might be, and abandon them, because this is going to be an experience unlike anything that's happened to you before. From a musical standpoint, I'm delighted to be joining Joe Travers, Scott Thunes, Ray White, Robert Martin and Ed Mann in bringing Frank's amazing music to you (some of which has never been heard before), and from a visual standpoint, we are going to present something you simply won't see coming. Not gonna say more than that for now, but prepare to be truly affected by this experience. 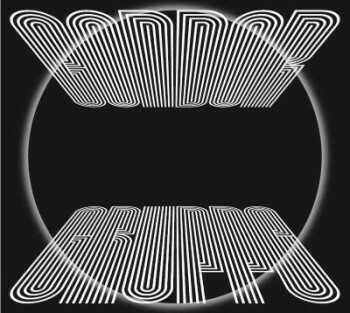 March 2018, Condor Gruppe released their third album. To be quite honest, I only got hold of this LP/CD set last week and I'm extremely happy with it. Listening to the music does take you somewhere else. Or even better: it does bring another world into yours. Well, not officially announced, but apparently Amazon is mentioning a 5CD box entitled "Zappa In New York (40th anniverrsary)" that should come out in March 2019. Frank Zappa passed away 25 years ago, but his music is more alive then ever. 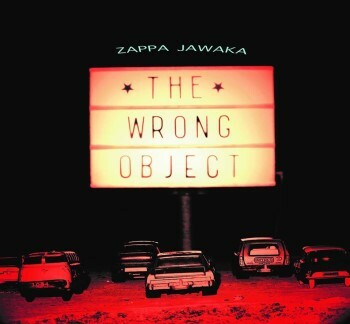 To celebrate the music of The Grand Moustache, Belgian jazz-rock ensemble The Wrong Object released an amazing tribute album called "Zappa Jawaka". 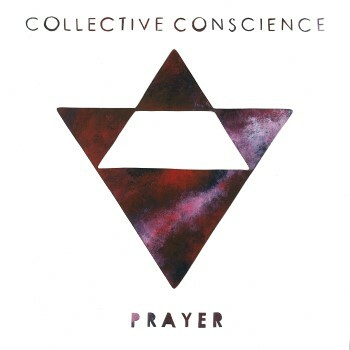 I've been giving this album a lot of spins the last couple of weeks and I can only conclude one thing: this is one superb album. Flavoring and spicing up Zappa's compositions with some fine arrangements and great solos, this is The Wrong Object at its best. Just look at the choice of tunes !! All tracks recorded by Maxime Wathieu @ Studio 5, Liège. Mixed and mastered by Pierre Vervloesem @ Studio Fiasco. Out on the Off Records label !! Abraxas is touring, performing John Zorn's Masada ! They're one of the bands that is featured on the new "The Book Beri'ah" 11 CD box. 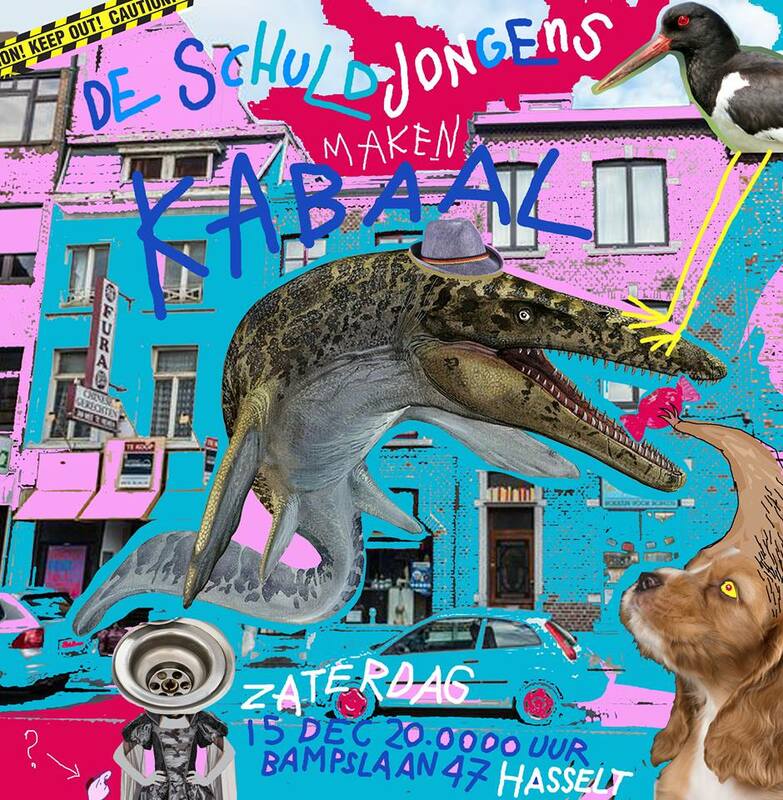 January 23, Abraxas will be performing at 'De Singer' in Rijkevorsel, BE. Belgian blues legend Roland released this beautiful album in 2013. 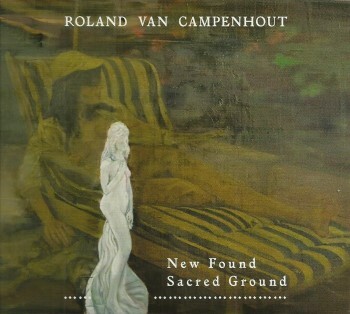 Produced and co-written by Mauro Pawlowski, "New Found Sacred Ground" has it all. here's the "Malkhut" album by Secret Chiefs 3. It's album number 10 in John Zorn's "Masada Book 3 - The Book Beri'ah" 11 CD box set. complete download for US $ 75 / € 66. Can you believe it? Another year has come and gone. It seems to go faster and faster every year, and as we sit here a week away from our annual Mule Year's Run, it wouldn't be tradition without one last announcement. We are very excited to welcome special guests Jackie Greene and Shawn Pelton to our New Year's Eve performance in New York City. Jackie and Shawn joined us last year and we are thrilled to have them back again for another round. So hop on that plane, take the train, or get in your car to come join us and you'll see that all roads lead to the Beacon! Wishing you a happy holidays and happy new year. We look forward to seeing you again real soon! Markus Reuter's "Winter Solstice" EP is available as a free download from iapetus records. Bizarre soundscape versions of traditional songs usually associated with this time of year, at least here in Germany. In addition to the meditative soundscapes I've overdubbed the original melodies. Enjoy this parallel universe... It's strangely hypnotizing. Only available from December 17th to December 31st. Don Preston did the soundtrack for "Android", the 1982 movie. Here's the end credits, with music !! Session musician John Tropea's discography features quite a number of people who have worked with Frank Zappa. Here's a live snippet with Lou Marini on the saxophone. "Frog Bog - A Tribute To Moondog" is the second release by Belgian band Condor Gruppe. It's from a few years ago. 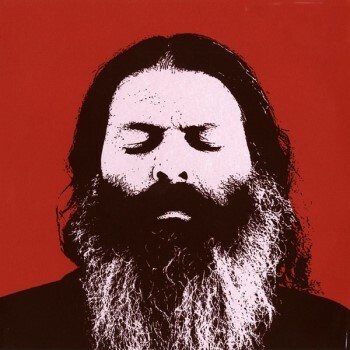 As one could expect, the band recorded a number of compositions by Moondog, the New York street musicians that used to dress up as a viking and who passed away in Germany in 1999. It's the perfect way to start the day off right. Check out 'Bird's Lament' !! 'Instrumental music, influenced by soundtracks (spaghetti westerns), Krautrock and surf music'. This is an unauthorized audience recording that has been shared on the internet. We are now making recordings like this officially available for purposes of archiving, (our own) historical research, and for your enjoyment as a fan and collector. Each show is offered for a rather low price and the proceeds from these downloads will get split evenly between Tony, Markus, Pat, and Robert, the four people who worked as a team to make this music come alive. 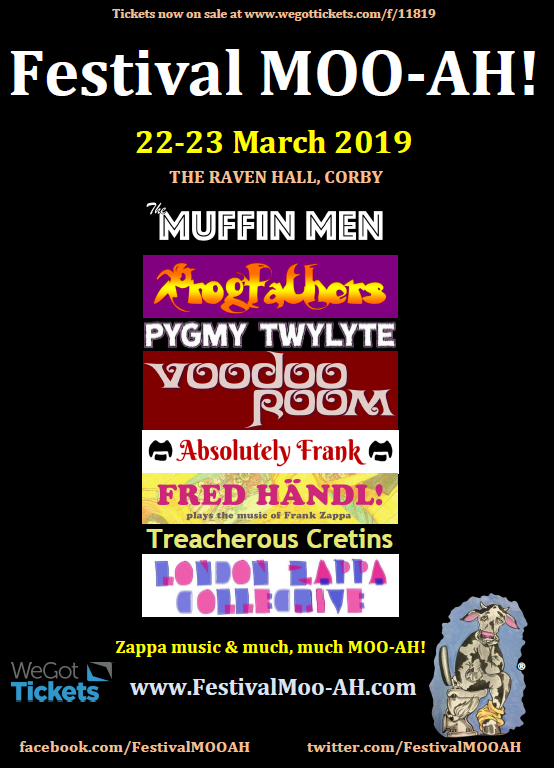 A biennial festival of LIVE Frank Zappa music and much, much MOO-AH! Learn three Frank Zappa-style guitar licks, as demonstrated by Dweezil Zappa himself! Dweezil Zappa takes a few minutes to break down some awesome guitar licks that were played by Frank Zappa. Get your guitar out to play along with Dweezil Zappa, and add a few guitar licks that were strummed by Frank Zappa to your arsenal. Steppe-Scape (Stars of Eurasia) is a unique collaboration between most interesting and widely known in the West artists from Central Asia and Siberia, such as Namgar (Namgar Project, Buryat Republic), Radik Tyulyush (Huun Huur Tu, Chalama, Republic of Tuva), Angela Manukyan (Volga, Moscow), and guitarist, composer, and electronica artist Markus Reuter (Crimson ProjeCKt, Stick Men, centrozoon, Namgar Project), one of the most talented European artists today. The band’s sound benefits enormously from a soloist Robert Yuldashev (Bashkiria), a renowned master of the traditional flute, kurai; drummer-extraordinaire Merlin Ettore (Canada) and bassist and chanza player Eugene Zolotarev form the hypnotic rhythm section. The musicians of Steppe-Scape summon shamanic energies of their ancestors, opening infinite spaces of steppes, dense forests, and mountains reaching out to the sky. The music of Steppe-Scape is a ritual that enchants its listeners and transports them to the far-away ancient horizons where forces of Cosmos and spirits of Nature meet. Steppe-Scape (Stars of Eurasia) is a vibrant meeting of the millennia-old traditions of the Great Steppe with the cutting-edge music of tomorrow. Just after mentioning De Schuldjongens (and De Sufgerukte Wallies) on this blog, I got a message that De Schuldjongens will be performing in Hasselt next weekend. Sander Notenbaert (synths), Wannes Notenbaert (bass) and Bram Vanhove (drums). The brothers are living in Amsterdam for the moment, but they consider Antwerp as their home base. If you'd ask them, they'd probably say "Epic Jazz, Hip Hop, Electronic and Beyond. Spaced-out-alternative-experimental-groove-music performed by three young musicians.". This gets me in the right mood. 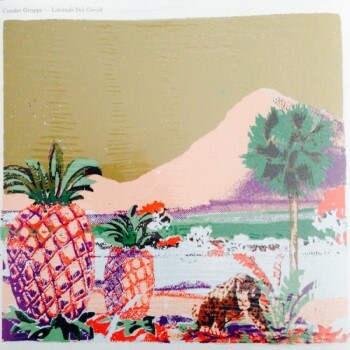 Condor Gruppe released a 4 track demo cassette tape in 2013. Two of the tracks found their way to their first album, "Latituds Del Cavall" that got released in 2014. The two unreleased tracks can be downloaded for free on Bandcamp. De Schuldjongens were one of the top acts of the latest Mosae Zappa festival. Frontman LoveCavern (Berend Vonk) and guitar player Safari Safari (Cesco Visbeek) used to be part De Sufgerukte Wallies, an early nineties punk band. De Sufgerukte Wallies released one LP, one CD (in a wooden box) and a couple of tapes. I don't know too much about the tapes, but I added both the LP and the CD to the United Mutations Archives. (and I'm spinning "Paterpiopriester" at the same time). 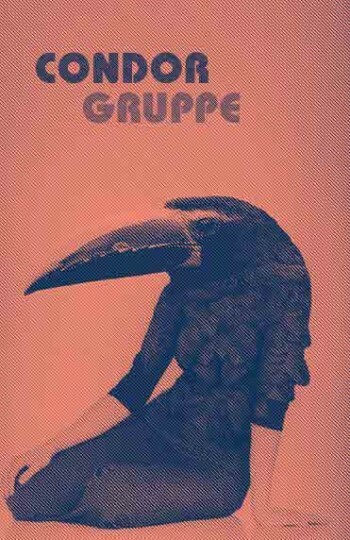 It did take me a little while, but I finally got hold of the first album by Condor Gruppe. Valeriusstraat 9, 2517 HM Den Haag, NL. "The Poodle Magic Pig Type" has Fred playing compositions by Frank Zappa. As one could imagine, Fred will be performing a couple of the tunes of the album, and the album wil be for sale. Next month, Cherry Red Records will be releasing the next two titles in their Residents Preserved Series : "Eskimo" and "The Commercial Album". Each album will be released as a 2CD set, with lots of bonus material. Available for pre-order on the Cherry Red website. Electronic jazz band Ill Considered made a Christmas album. at 'Trix' in Antwerp, BE, on February 8 and 9, 2019. 11th edition of We Are Open, our two day showcase festival with the best Belgian bands of the moment on four stages. Seun Kuti and his Egypt 80 band have been nominated for a Grammy for their album 'Black Times'. Released during Spring 2018, the album cemented Seun’s status as the modern day torch-bearer for Afrobeat, exploring themes around black identity, political corruption and the need for a new generation of revolutionaries. The title track featured a guest appearance by guitar legend Carlos Santana. The RNCM Wind Ensemble teamed up with a rock band to perform the music of Frank Zappa. An audience recording is available over at Zappateers ! Not just Zappa, also some Nancarrow and Varèse !! 2018.11.30 "Frank Zappa: Take Your Clothes off When you Dance (*Optional)"
2000 Motels is a band. It's a Dutch band that performs the music of Frank Zappa. a musical project by Hans Malagride, John van der Schaaf and Steffen Snip. 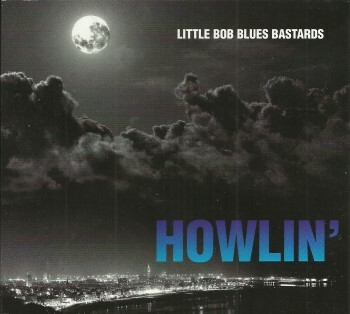 Another fine version of Captain Beefheart's 'Zig Zag Wanderer' can be found on this recent album by the Little Bob Blues Bastards. Here's the band live, performing 'We Are The Blues Bastards' and 'Zig ZagWanderer'. Wowie Zowie !! This is great. 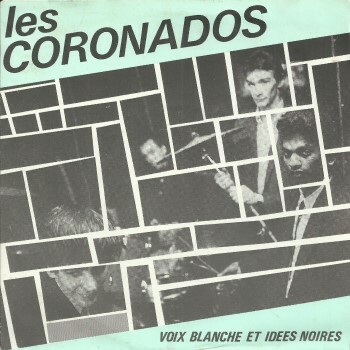 French rock band Les Coronados recorded Don Van Vliet / Captain Beefheart's 'Zig Zag Wanderer' and released it on the B-side of their "Voix Blanches Et Idées Noires" EP in 1983. Performance by Anoushka Shankar (sitar) and the Berliner Philharmoniker conducted by Zubin Mehta. October Equus is preparing a new album. Somewhere during the early ninetees, bass clarinet player and composer Antoine Prawerman assembled a group of musicians to perform his compositions. This resulted in an ensemble that featured some of the best Belgian jazz musicians with Pierre Van Dormael on the guitar, Bo Van Der Werf on baritone sax, Kris Defoort on piano, Otti Van Der Werf on electric bass, Stéphane Galland on the drums, and Antoine Prawerman on the bass clarinet. The ensemble released a second album, "Snake Ear", in 2000. Both albums are rather rare so you shouldn't hesitate when you come across them.